Why Oh Why Should You Use WordPress? I started out using WordPress about nine months ago and have never looked back. Coming from a web design background, I was originally very skeptical, especially given that many of my clients websites has been designed utilizing state of the art design software and they still had to fight to get ranked in Google and other major search engines. One of my first experiences with WordPress…I installed a WordPress theme for a client on a Tuesday morning. I simply installed the theme, no content or anything was up yet and on Thursday, my client called me and said that their domain was pulling up in Google's organic rankings under their primary keyword! #4 on GOOGLE! WHAT!! I was stunned. The advantages of using WordPress are many but here are a few that come to mind off the top of my head. WordPress is a very well known blogging platform for self hosted blogs. Self hosting means any user can choose any hosting provider of their choice and install WordPress platform on it. Users can choose their own custom domain name instead of sub-domain names. Example: www.yourname.com instead of www.yourname.blogspot.com. WordPress is also a tremendous tool for web site development. Some web site designers might not share this with you because it opens the door to DIY'ers. Plugins are a backbone of the WordPress platform. By making use of plugins, users can customize performance of their blog according to their needs. Some famous plugins are All in one SEO, Akismet, Robots meta, SEO friendly images, etc. Plugins are a tremendous tool to the end user because it allows for tons of customization options with a few clicks of the mouse. Themes decide the look and navigation of the blog or website. WordPress offers lots of customization options within their themes. There are tons of themes available for WordPress. Both free and what is considered premium themes which will cost some dollars but can be worth it in the long run. Users can download the themes according to category and what they need for their individual looks or "brands". I have often told people if they can use Microsoft Word, they can use WordPress. It is very easy to use and makes it a perfect platform for content management. Someone with little experience can start using WordPress very effectively with little assistance and if you hit a road block, Google it and there are tons of self-help videos out there for WordPress. WordPress.org has incredible info that you can use to quickly learn WordPress. Experienced users can modify the CSS files to get their own designs according to their needs. Free is always good! Since WordPress is an open source bogging platform so it is totally free of cost to the end user. If you are a DIY'er, you can do this! If you are not a DIY'er and you want to hire an experienced WordPress installer, click here. But I am here to tell you, YOU can do this! It is fairly easy to learn and implement quickly. The search engines love WordPress!!!! Want to be on the first page of Google? WordPress is an extremely viable vehicle to get you there. WordPress comes with a self ping feature. This feature sends ping to different search engines every time the blog or website is updated. Also there are lots of plugins available for WordPress which can extend the WordPress reach. WordPress has a very simple editing platform and the plugins will allow you to quickly put into place complex functionality on your site that would normally take a lot of time to learn or it would cost you lots of $'s to hire someone. You can actually own and manage your own content with very little effort. It will save you a ton of time and money. 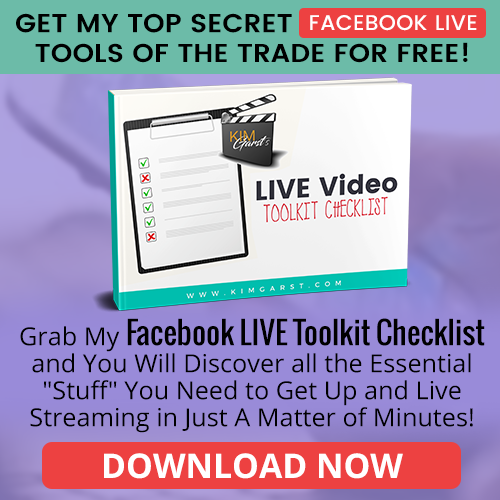 It will allow you fire your web guy or gal, your programmer, your coder; whatever technical guru you may have felt you needed and allow you more time to devote to income producing activities! 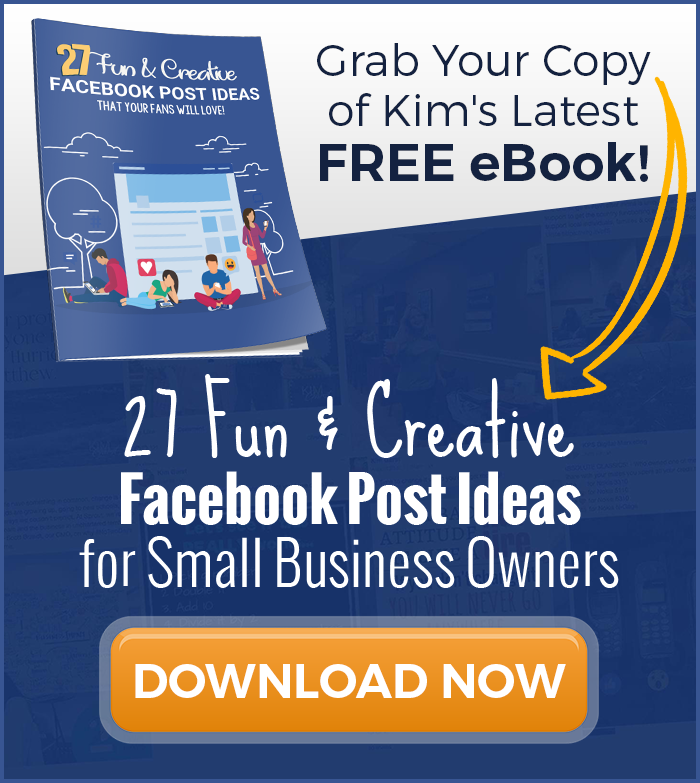 Kim Garst has been a Mompreneur for almost 20 years and has built a 7 figure income from her home. Currently she shares her business and marketing savvy through coaching and consulting with clients around the world. 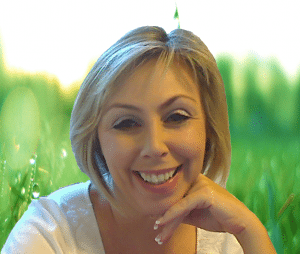 Kim specializes in helping you get more sales, more leads and more clients utilizing social media and the Internet as a whole. Her systems are easy to implement and get quick results for small businesses as well as new and established solopreneurs. I totally agree with all your points above. At first I was scared to use it, but I purchased a premium theme that is very easy to customize without having to know any CSS, and now I love it. I wonder why more people don't use it. I agree. We use wordpress blog. It's simple, easy to use from anywhere. This was a timely comment because we coach small businesses where the principal doesn't always even want to be tech-savvy. So WordPress is an easy answer to help clients get started on the information highway! I am slowly realizing I MUST switch . . . making it a "summer project". I feel overwhelmed by it – but after reading you and Sandi, it is a change I must make . . . I resisted WordPress at first – I thought I had to build sites from scratch until i realized the time and money I was wasting. I've come to love WordPress and look to it before considering alternatives. It's a waste of time and money to reinvent the wheel. Most of all, many 'regular' people can handle WordPress, so with some training I can turn some sites over to clients to edit and update their own information. Same, Pete! Love WordPress and I too resisted it. As webmasters it is also great when the small things that would eat up a lot of your day, can now be accomplished by the client! WordPress is magnificent. I had tried several other platforms when I discovered WordPress and all my frustrations disappeared. The only frustration now days is finding a decent hosting company. Keep up the good work Kim. Hi Kim, I still consider myself a wordpress newbie, thanks for the confirmation that im on the right track :). Now, onto taking my blog to the next level. Loads of great info here-gonna stick around for a while. Woo Hoo for WordPress! I, too, am a WP convert and a believer. So much easier than my earlier websites and so much more creative. And I love the way Google loves it. Agree. I used blogger and I still do but I like WP Best. I tell people but they seem to think it is difficult and that I must be smart. I like that too. I've been wanting to switch… because I think WordPress blogs look cleaner. & there are things that I want to do w/ mine that I canNOT on blogger… Thx for this post! People have been asking me about my site updates. And how they can be efficient with their site and social media. I'm not a designer or web developer, but I'd like to think I am at least somewhat social savvy. Somehow, when I've been trying to explain WordPress to people, I don't quite hit the concepts home. Thanks for providing the information above in sensible, bite-size, "gettable" pieces. I'll certainly refer people to read in the future. Totally agree! I use wordpress a lot for my clients. Specially for the ease of use when looking for a content management system. Lots of plug-ins!!! Like this fantastic plug-in that shows your site very nicely on my iPhone… Have a great day! I completely agree! I switched from a regular website to WordPress. It just made sense for my consultancy firm and business network to organically merge the two without missing a beat. I’m still new to WordPress but I do love it. Now I just need some customization from a CSS/HTML pro within my chosen theme and I’m there! Hello Mam, Great information… thanks for sharing this .. i will also share this useful information to my friends circle. Wow Kim, you should make a commission on the amount of people that will be switching over because of your article! I agree with you 100%! The ease of WP is unmatched and with Google’s love of it, it is a no-brainer! Great post! Thank you for this post. Totally agree. Building a new website at this very moment (first time WordPress for personal use). I really like Open Source CMS-ses, but it took me some time to make the switch. It’s so much more user-friendly for my customers and no matter what other developers might say, WordPress has developed into a full-grown CMS. Well you sealed it for me. Starting the move this week. Thanks! Great post! Totally agree with you. WordPress is awesome. I use it too. I also love the widgets that allow you to add html code on the sidebar of your site. Ever thought about adding a Wibiya toolbar to your site? 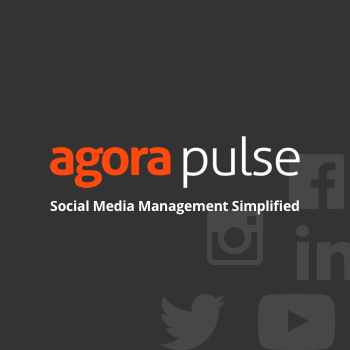 It allows you to integrate Facebook, Twitter and Youtube functionality on your website. – Juan. I need to do that, Juan! Just haven’t gotten around to it yet :-(…too many things in my day :-). Thanks for the comment! I have my own domain name but free hosting thru blogspot.com at mommyonlyhas2hands.org, So my question is, you said it is totally free, with wordpress.org, don’t you have to pay for hosting somewhere or is it hosted on wordpress? I’ve heard that worpress is just a platform to use with a self hosted site, which would make it not free. I’ve often found that self hosted sites, the ones you pay for have more server problems and blog downtime than the ones you don’t pay for. For example a friend of mine on a self hosted site thru go daddy was doing a giveaway with me and she only bought a certain amount of bandwidth and her site was down for quite a few days, but mine was still working. I don’t mean to argue what you have written, but if you use wordpress.org, where is it hosted, not talking about domain names, just talking about where your site is stored, is it stored on a worpress server or do you have to buy that? WordPress, the platform, is absolutely free. For example, you do not pay to install it on your hosting account if you are using WordPress.org. You do have to pay for your hosting account but the actual installation of WordPress is free and there are tons of free templates that are available as well. Hope this clarifies. Great suggestions. I am using WordPress and I LOVE it. Hi Kim, I totally agree with your views and recommendations for WordPress. Excellently put and I've added a back link to your article. Philip. I have used Blogger and other website designing sites like Moonfruit but much prefer the look of WP and am definitely going to switch. I've usually only heard great things about it but my one concern is that I've heard it's difficult to use Google Adsense with it and even using affiliate programmes on it can be problematic. Is this true? I have not had a problem with Google Adsense. Love WordPress ;-). Thanks for dropping by! Agree with all – WP is great. Worth pointing out the difference between WP.com and WP.org? My landscape company would have been lost in the "Maps" world if not for WordPress. Absolutely love WP's functionality and customization abilities. Plugins can be a game changer, but can also slow your site down. The greatest feature for me is the thousands of themes that are compatible with WP's software, because I have no designing skills. Thank you for me finding you Kim, I appreciate your word & work. It’s amazing, right? So glad that your company is thriving because of WordPress! If you understand the fundamentals of Word Press including the application of the best plugins then you cant go wrong. Just monitoring your traffic will indicate the success of your blog site – but if you are not getting the hits coming in dont blame the Word Press platform it will be more than likely your content. WordPress is awesome and there are some nice plugins out there such as Yoast SEO!! Word Press is on the cutting edge of how online media is presented, as well as, how web designing is done. DIYers know it is a blessing! And it certainly is the vehicle that has allowed my writing to be seen all over the world, to make a redeeming impact on other people's lives! Word Press for life! Wow! Didn’t know about the Ping! Thanks for this article after putzing around with a few different programs, I decided to use WordPress. Now I’m REALLY glad I did. WordPress is simply amazing! Glad you decided to go with it! Great article! I currently use Blogger and want to switch to WordPress. However, if I transfer my blog and domain name over, will I lose all the blog posts that I have on Blogger? Has anyone made that switch that can tell me? Thanks! Thanks for your feedback. Actually, switching from Blogger to WordPress is something that is done all the time. You may want to do some research about the best ways, but it is very common, especially now. You should be able to handle it without a problem. WordPress is the best blog platform. Have a lot of plugis. There are we can do anything we want! And, what’s important – is realy easy to SEO. Good article and now we wait for the same with compare to other blog platforms 🙂 ! WordPress is amazing CMS! For 2 years we base our customers’ projects on this CMS. YES, it sure is, Tomas! Thanks for dropping in! Hi Kim, I started out the same way – as a web designer in my previous life, I was skeptical of WordPress. and to be real – the first time I looked at it, it was bad.Now I use it for my site and love the flexibility. There are times I do have to dive into the html or css to whip it into submission – especially with certain plugins. I was also frustrated that it was harder to back up and restore than Joomla but with Cpanel hosting that is easy to get around – just harder to remember to do. Ok…So I am a graphic artist, I know some HTML code, I have used other web design programs and when I went to a job where there was already a web site created by a professional on WordPress and I took it over I could not figure out what the heck to do! I have since learned a bit more and can poke around and most times edit simple things. I recently quit my previous job to start running my own graphic design & printing company from home and I wanted to switch my personal website to WordPress because everyone said it was the best. I bought a template and thought maybe starting from scratch with a template would be easier for me to figure out, but I still can’t figure out some things. Maybe it is because I am a graphics person and know html that the things I want to do are more advanced than the simple edits most people do? Not sure, but I still don’t love WordPress the way everyone says I should and I don’t find it easy. I wonder if I am doing things wrong and trying to do things harder than what it should be? I remember the old days of hand-balling code for every page! I was very much old school and it had taken a while for me to bite onto Word Press. Now I bite myself and think of how much time I could have saved if I would have switched over sooner. Great platform and easy to configure. 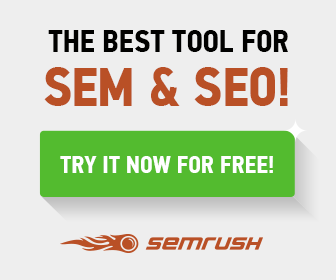 So many plugins to choose from and great for your SEO. Same here. I think knowing the hard code (HTML, CSS, PHP) ha shelped me a lot with WordPress too. Still I love how easy it is to put together a good looking website using it. Thanks for sharing your thoughts about t shirt company. 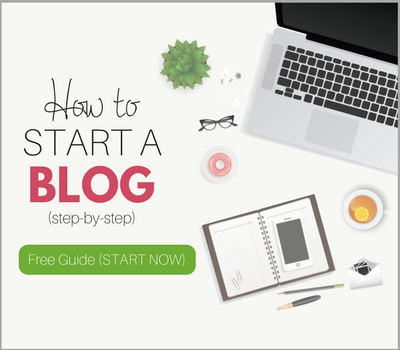 I hated WP when I started, but I was new to blogging and websites and the whole industry. After 3 months of torture It finally clicked and now I am a total WP fan. I still don’t rank on google at all so I’m wondering how I fix that issue. any suggestions ? Love your articles by the way. They’re always easy to read and informative. So thank you for sharing. This post is a bit of an eye opener for me as I’m new to blogging. The thing that has made me decide I’m going with a WordPress.org blog is the professional factor – if I can’t be bothered to pay a tiny amount for a domain and hosting, how serious can I be about blogging? Great post – i’ve even linked to it from Blogbods as I don’t have my own blog yet – it’s happening this week! I know you possibly said it as a joke… Ive got so much to learn, and I’m sure i’m not the only one. Would be very useful. Anyway, thanks! Great article.. Thanks for sharing this. The best part about WordPress is that it’s easy to use and flexible enough for just about anything. That’s the main reason why WordPress has grown so much in popularity. We have been using WordPress for many years now and its such a powerful platform. I remember years ago using dreamweaver for most of our designs and it was so labour intensive! This paragraph is really a fastidious one it assists new the web users, who are wishing in favor of blogging.